Free Movies application connects you do a database of over 5,000 movies you can watch on your Android smartphone / tablet computer for free. Important: Your device needs to support Flash to use Free Movies! If your device did not come with Adobe Flash Player installed or if you did not install it before, Free Movies will provide you with step by step guide on how to install Adobe Flash Player for Android. 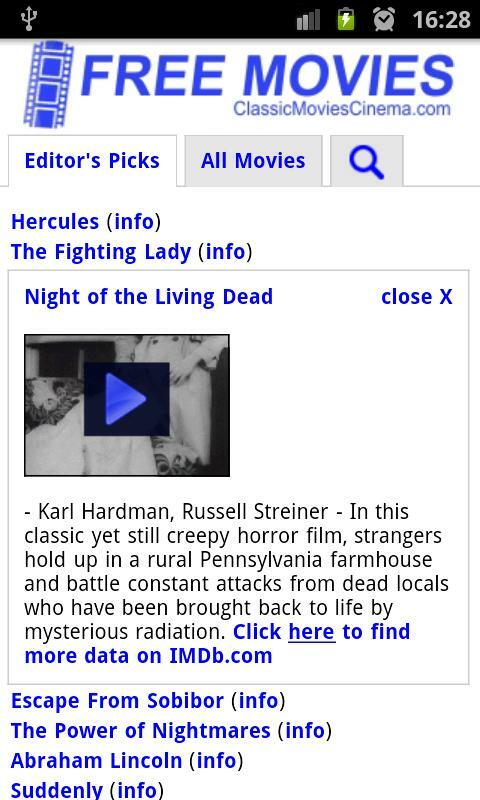 All movies listed on Free Movies are in the public domain and are part of Internet archive.